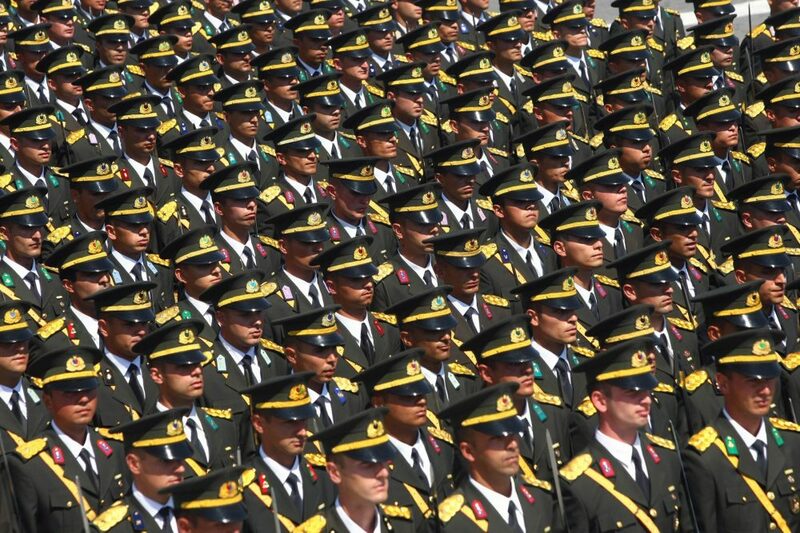 War College students march during the Victory Day celebrations in Ankara, Turkey, Aug. 2011. As some democracies struggle to preserve their legitimacy, or give way to authoritarian regimes, institutions like the military could benefit by gaining power. Photo by Associated Press. Why is democracy in trouble? Long before democracy’s global slump became conventional wisdom, Yascha Mounk was warning that support for democracy was on the decline in the world’s most advanced societies. In a paper published in the Journal of Democracy, Mounk, a lecturer on government at Harvard University, and his colleague Roberto Stefan Foa showed that public satisfaction with democratic governments was the lowest it had been since the advent of opinion polling. Mounk and Foa argued that this discontent wasn’t the product of local conditions, but truly global. They also showed that citizens of democracies were increasingly open to nondemocratic alternatives. Why are democracies losing their legitimacy? Mounk, the author of two previous books, is at work on The People versus Democracy: How the Clash Between Individual Rights and the Popular Will is Undermining Liberal Democracy, that gets at the question. In a recent phone interview, he addressed questions about the democratic crisis of legitimacy. In particular, he suggested that support for democracy has been less grounded in democratic institutions and more in the rising living standards that democracy has produced. Q: Can you measure the legitimacy of a government? First, that getting elected to government gives you a mandate to pursue certain policies, but in doing so, you have to recognize the limits on your party. And you have to preserve the ability of your opposition to vote you out of office again. The second part of a legitimate democratic government is that while you have the mandate to pursue policies, you should be rooted in a vision of the common good, rather than in the narrow sectional interest of one economic, religious, or ethnic group. Q: Do Western societies confer too much legitimacy via elections? A: No. The importance of elections is not that they necessarily lead to the smartest government or the right political decision. The point is to lower the temperature of politics. When you have a dictator, you might very well wind up dead if you lose power. That makes your incentive to stay in power relatively high. You have an incentive to do some very extreme things to stay in power. In a democracy, you can always live to fight another day. You might lose your election today, but you can organize, you can revitalize a political program, you can get ready for the next election. Q: As democracy loses support in the West, are we seeing a change in the sources of political legitimacy? A: I think what’s been revealed over the last year is something that was true all along, but that was not recognized. There was an assumption that what political scientists call “input legitimacy” was very important: In this theory, people like democracy because they can vote. The idea was, roughly, that there was something naturally legitimate about the institutions we have. But in fact, a big part of the reason for ordinary citizens’ commitment to democracy was what political scientists call “output legitimacy.” By output legitimacy, I mean that people like democracy because it gave them quite a lot of wealth, political stability, and a rapid improvement in living standards from one generation to the next. And as some of these things are going away—as the system is becoming less stable, as we’re seeing living standards stagnate–output legitimacy isn’t as strong as it used to be. And as a result, people are turning away from that political system. Q: Are authoritarians and the military gaining in legitimacy, and if so, how? A: I think they are gaining in relative legitimacy. It’s not that people didn’t used to trust the army and now they do. They used to trust the army and congress and the press. Now the only institution they trust is the army. The army is the last man standing. Q: How legitimate is Trump? A: He has legitimately been elected President of the United States. But the government is now in danger of becoming illegitimate because Trump doesn’t seem to recognize the importance of democratic norms or the limits on his power. And he seems to be governing not in the interest of all Americans but only in the interests of those people he considers real Americans. 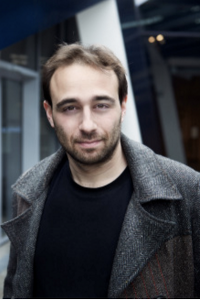 Yascha Mounk is a lecturer on government at Harvard University. His next book will be The People versus Democracy: How the Clash Between Individual Rights and the Popular Will is Undermining Liberal Democracy. This interview is part of an Inquiry, produced by the Berggruen Institute and Zócalo Public Square, on what makes a government legitimate.